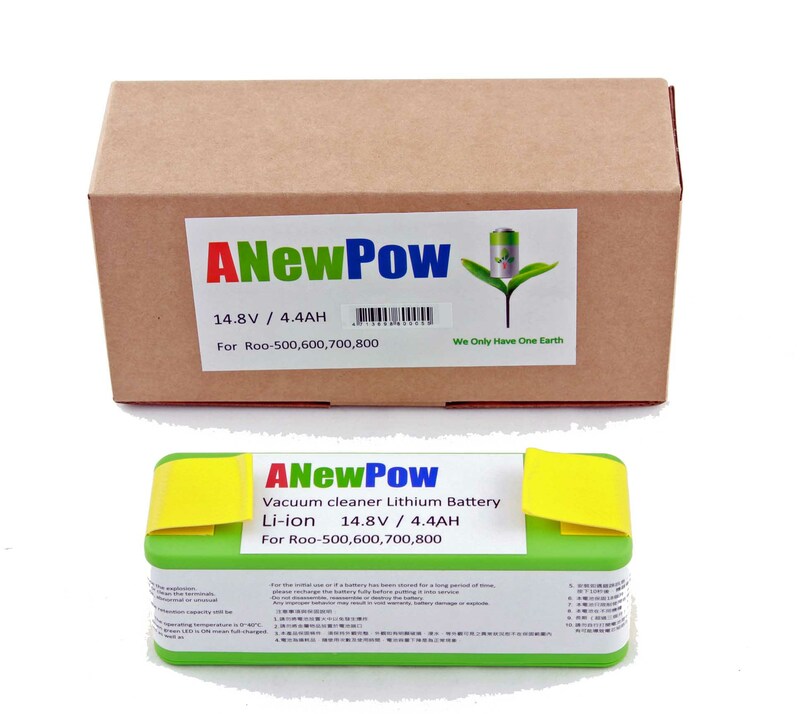 Please note: The battery is shipped from Queensland by Australia Post and can be returned by Australia Post. Batteries bought through ebay, Amazon etc., are shipped from overseas and Australia Post will not post batteries overseas. There are some very cheap batteries available, mostly on ebay, just beware, when it comes to batteries is certainly a case of buy it cheap, buy it twice. 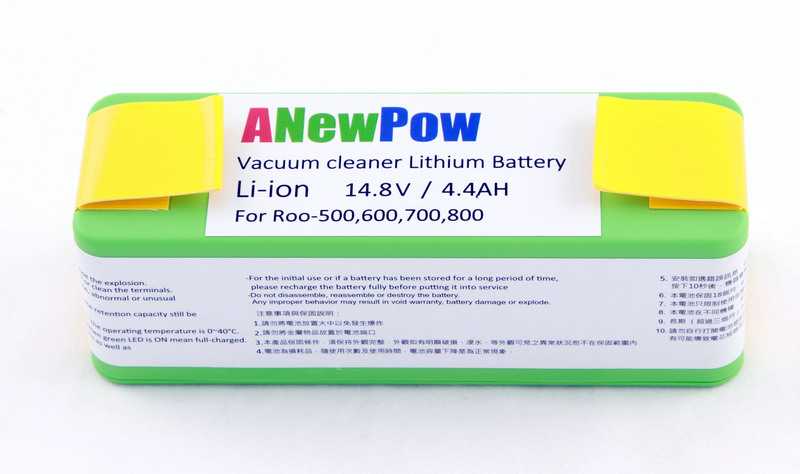 The ANEWPOW Li-ion battery is a environmentally friendly, long lasting battery for the iRobot ® Roomba® 500, 600, 700 and 800 series and Scooba 450. Lithium battery technology may cost a little more up front, but lithium batteries last 4X longer and hold a charge for nearly twice as long as the stock NiMH, NiCd and all market replacement batteries. 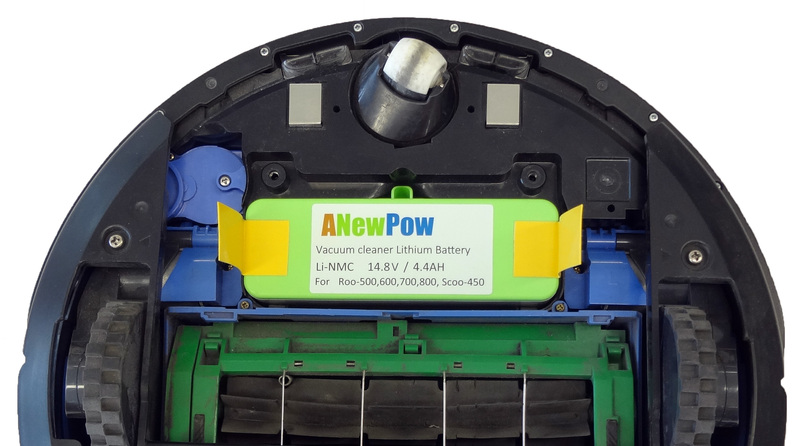 Our ANewPow lithium iRobot® Roomba® batteries can save you 50% on battery cost and you gain the peace of mind knowing that these batteries are not going into landfill. This is the third battery for my four year old Roomba 570 and the last one (NiMH from iRobot) failed in nine months and wouldn't respond to the reset procedure, so I was ready to try lithium technology. So far, so good. After charging overnight, my Roomba runs like new, and runs even longer than it did as new. In fact, it seems to be running even better -- a little stronger, a little faster -- than new. Too early to tell about life expectancy yet, but given the nature of the technology, I have high hopes. I have dealt with this company for a number of years now. They are super efficient and my goods have always arrived as advertised and in a short space of time. I highly recommend them to anyone wanting peace of mind when purchasing robots or spare parts.